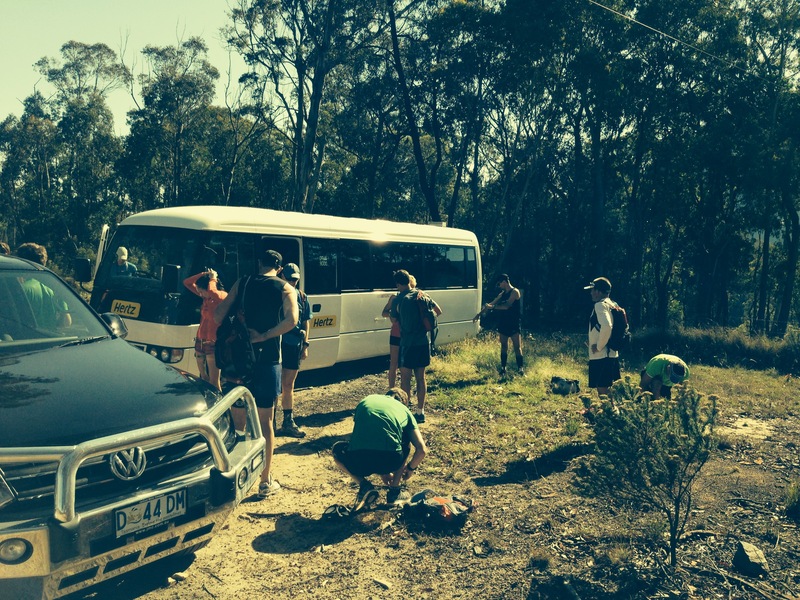 Day 2 of our camp started with breakkie and meeting at the bus by 8am for a morning run. I wasn’t sure if my legs had recovered from the night before but I was about to find out. Simon drove both groups out to the Iron Pot Ridge section of the course, and both groups would be running this section day. On the drive down (which took about 45mins) we passed some of the 6ft track and I felt like I was starting to get to know the area a little better (even if only by car at the moment). Todays section of the course called the Iron Port Ridge is normally off limits to the public as it is private property, however they had gained permission from the landowners for us to run it on that day, so we were all feeling very fortunate. We were also very fortunate to have Brendan Davies join us for the run, he won TNF100 last year in a record time of 9hrs 16mins, wow!!! It was heating up and this would be a tough run, but I stuck to the longer distance (16km) and put myself in the slower group again, this time our leader would be Graham Hammond. Graham is a very smiley, positive, bubbly guy and you can tell he really loves the outdoors. We set off down the hill from where the bus dropped us and Hanny started the session with some tips on downhill & uphill running. She explained her Butler pose and how to use gravity to your advantage to pull yourself forward. We did a few intervals up and down the hills for practise and then we got stuck into the course. These tips were most useful and I really started to feel comfier using the technique, so I made a conscious effort to try and make sure I used the tips during the whole run. 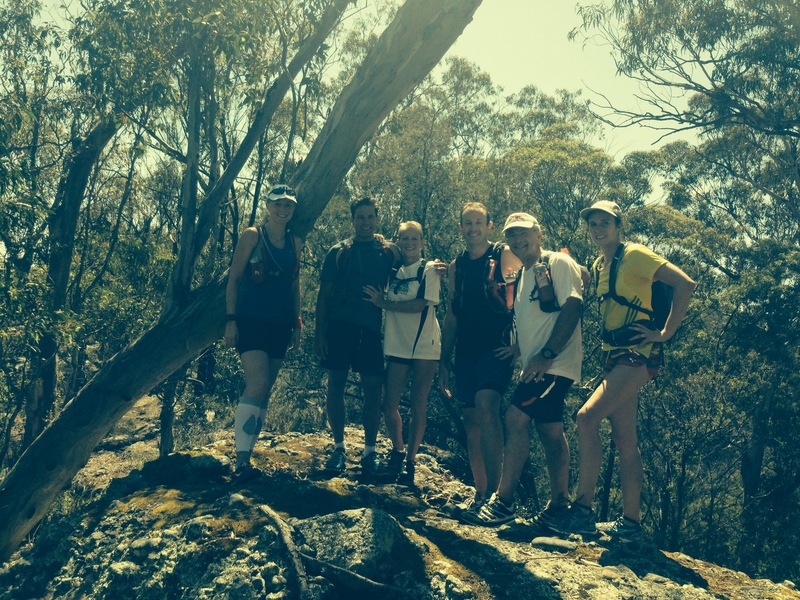 Our group of 7 runners including Graham our leader were an awesome bunch to run with. There was the speedy Collette & David up front, followed by Ian (who lost a toenail that day, ouch!) 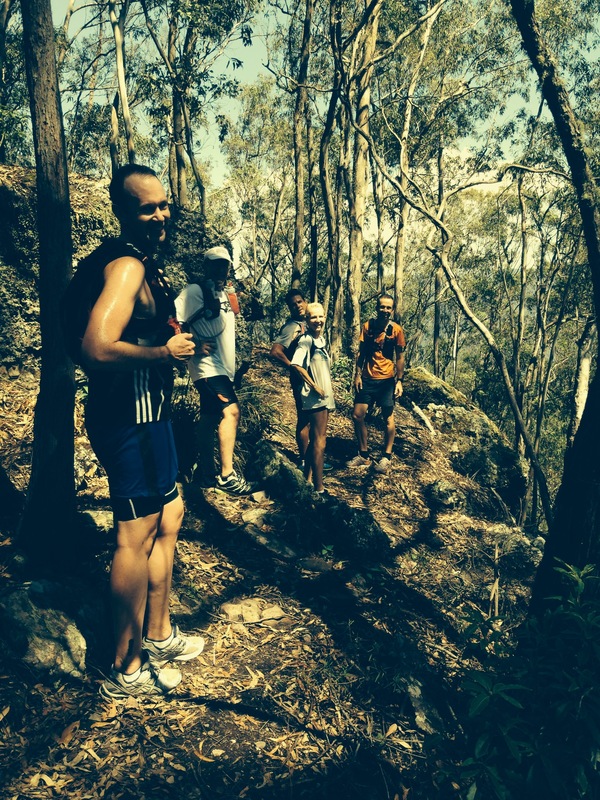 & Claude (our Noosa representative), then Louise and myself running at the tail. 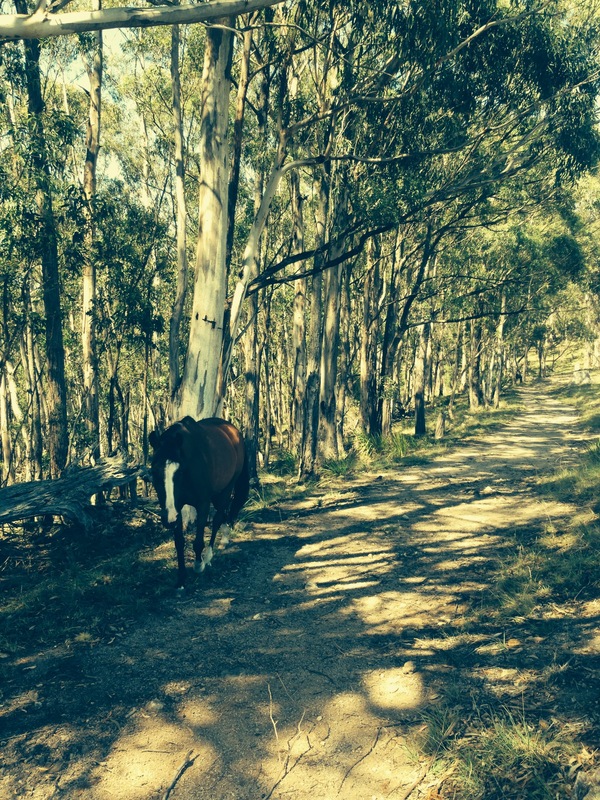 The first section of the course we went through paddocks and fields, opening and closing gates as we passed them, and we saw a beautiful horse roaming around on our path. Then we got to the tricky part which was a steep rocky ascent that was very technical. It wasn’t a long way up, but it was very rugged and you really had to concentrate and watch where you were going, it was easy to lose the path and in fact we did at some spots. Thankfully the trees weren’t too thick in this area (probably due to the large amount of rock) so we could easily look up and see which way the group was supposed to be heading. Here’s a shot of the view from the top of the Iron Pot Ridge. And here’s the spot where we started to head back down, very steep and uneven but we were all smiling! 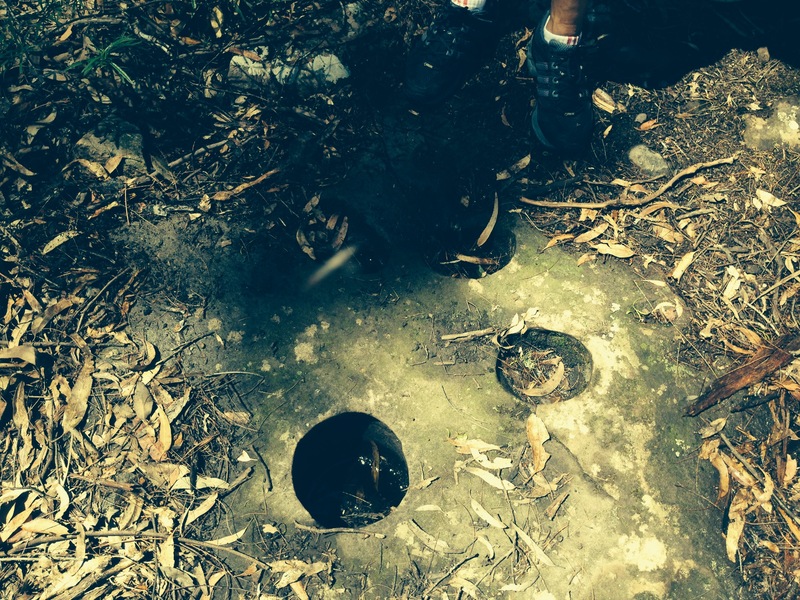 And I almost forgot to mention these little holes that Graham pointed out to us up on the ridge, they are said to be from when the aborigines lived on the ridge they used these to grind cook etc. Apparently there are some drawings in the area too but we weren’t fortunate enough to see them that day. Graham gave us some good advice for the next downhill sections too and we made like ducks (heel to toe) all the way to the bottom. We even quacked a few times to help re-iterate the point (and because it’s fun). We slipped and slided down the loose leaves which covered the downhill section and used trees as brakes at some parts. It was important to keep the body low, almost squatting into the hill, and use small steps to keep moving. When we got to the bottom of the tricky section Graham pointed out some landmarks and we took a 2 min break to take in the view, spectacular. We were now making our way back to the bus, back towards the big hill at the end and I wasn’t looking forward to that. However I was determined that it wasn’t going to beat me, I just had to keep moving. 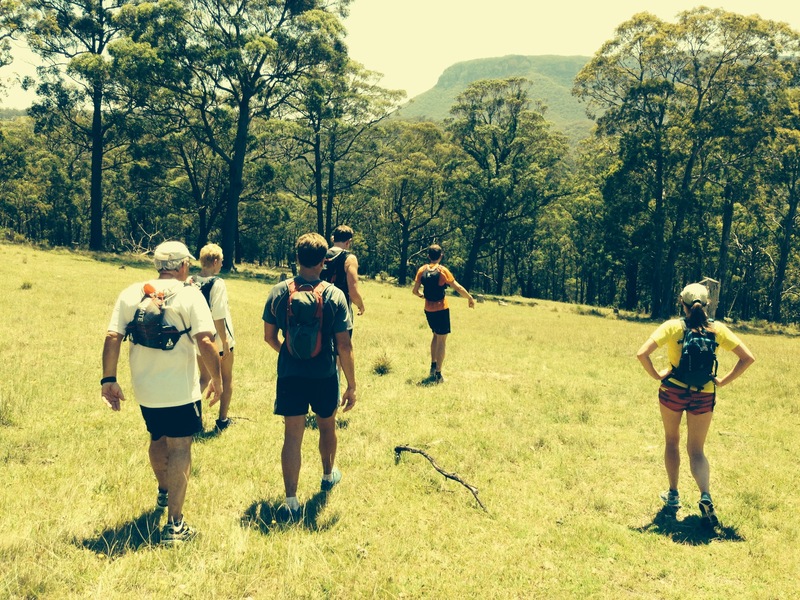 Collette and David had been speedy & were ahead of us and I now ran with Ian and Claude. We egged each other on and took the winding hill, with it’s thousands of bends (well, it felt like thousands, and I’m sure it was much longer on the way back up!!) and eventually it flattened out at the top just before the bus so I convinced the guys we should run the last part and not let this hill beat us. And we did! We felt great for it too. What a blast! The crew lumbered back onto the bus and we headed down the road to pick up the speedy guys who had added an extra few km’s to pass the time. It was starting to heat up and we all planned to take a dip in the hotel pool when we got back. After a quick swim & some lunch we were headed into the conference room for an afternoon of learning about Nutrition, Hydration and the mandatory gear required for TNF in May. It had been so rugged out there on the trails today, but there was so much to see and do that I didn’t really even think about running on this course. I was so amazed at how much these trails brought me back to earth, made me feel so relaxed and at ease. It had been another top run and again something that I would never forget! 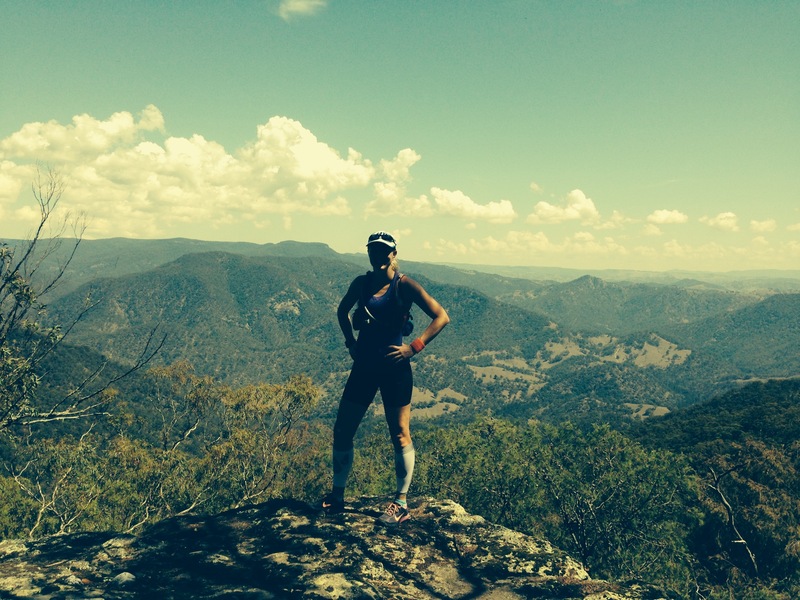 This entry was posted in Running gear, Training Planning, Training Runs and tagged bluemountains, hannyallston, ironpotridge, northface, TNF100, trailrunning by laurenhailey. Bookmark the permalink.